OK, OK, OK, so I am 'cheating' a bit - again. I have done this once before, reviewing a 'whisky' which is actually distilled beer. So, technically this is not whisky, as it also contains hops. But there are still quite few Nordic whiskies, so I should be able to get away with bending the rules slightly, from time to time. Last time I reviewed a distilled beer was with Aass & Egge - norsk single malt, a Norwegian 'experiment'. This time I am reviewing Mikkeller Spirits Bourbon Cask Black. I assume the Danish Mikkeller Brewery is well known to any beer drinkers out there. Not every one is aware that Mikkeller also dabble in the arts of distilling, not just whisky but also rum, vodka and gin. 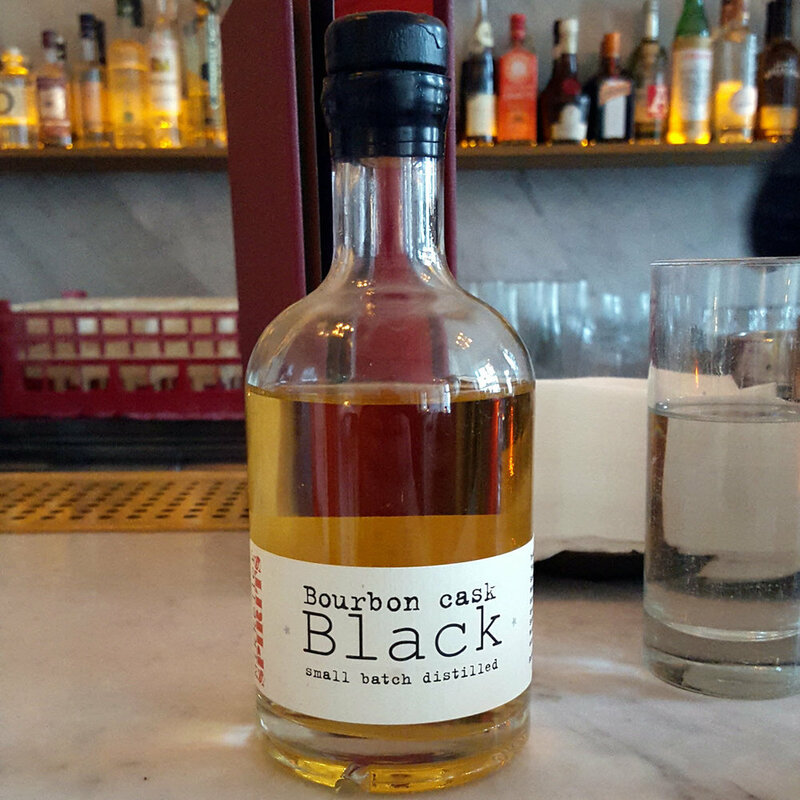 The Mikkeller Spirits Bourbon Cask Black is, as far as I can tell, only available in Denmark, from Mikkeller's own webshop, at DKK 449. Nose (20/25): Calvados and beer mixer, that's what strikes me at first. It is beer-like but at the same time very fruity, with predominantly apples in the mix. Malty. Very well rounded, but a bit odd. A slight alcohol sting, lots of apples and also pears. It does appear quite young. There is no indication as to the age of this spirit, but I very much doubt it is even three years old. Taste (18/25): Sweet and smooth, with lots of fruits and pepper. The mouthfeel is rather thin. Pears and a distinctly perfumy character. Finish (18/25): Short & sweet! Heh, take that as you like. Apples, simple syrup and powdered sugar. Balance (18/25): This was an odd one. Not exactly sure what to think. It wasn't bad though, just ... odd.